Here at GFI Software, we understand the challenges faced by IT admins today and we do our very best to build affordable and easy to use IT solutions that help businesses manage and secure their network. And when IT admins turn round and give us their thumbs up in an independent survey we are more than ecstatic to say the least. 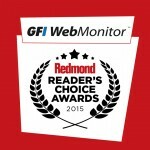 It was GFI WebMonitor that shined in this year’s Redmond Reader’s Choice Awards. Our web security, internet monitoring and access control solution received the Platinum award in the User Activity Monitoring category within the Security and Compliance category. But it didn’t stop there! GFI WebMonitor also received the silver award in the Web Usage Monitor category within the Infrastructure Management category. The Redmond awards are “decided by readers, not Redmond magazine, and are based on responses to our survey, fielded in late June to early July to our circulation database of 100,000 readers of which 1,056 participated” explains Jeffrey Schwartz, Redmond Magazine Editor. Schwartz continues by saying that in order to get a sense of what “third-party” software, hardware and services users prefer when working with and in support of Microsoft’s core platforms, Redmond Magazine includes all known vendors in each category. 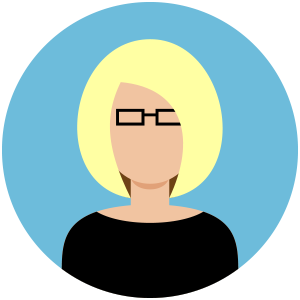 Would you like to learn more about how you can monitor your users’ web activity, better manage your network and secure downloads and web browsing? Get your free 30-day, fully functional trial, complete with GFI tech support by clicking here.